I started working with my first memorable coach on a year round basis at the beginning of Grade Seven (yes, that was you Darren Skuja!). I joined our local track and field club, the Comox Valley Cougars – which is still going strong by the way! The year prior I had competed in some of my first track races through school. I remember one in particular, an 800m, how much it hurt and how much my lungs burned afterwards. A swimmer had won the race, and I finished around 3rd or 4th. All I know is that race ignited a competitive fire inside and the desire to see what I could do if I actually trained for the race.And I wanted the guidance on how to get strong and fast over the off-season. Over my twelve competitive years as a runner I was truly lucky to have some amazing coaches. They were positive, encouraging, and truly cared for the whole athlete. Most of my coaches have run alongside the team, and even continued to compete. They were passionate about their sport and willing to share their wealth of knowledge. As a mountain bike racer, my very knowledgeable brother (much in thanks to his longtime coach who imparted everything he knew to Geoff) was my coach. It got me thinking about how great coaches can pass on enough knowledge to help their athletes become more and more independent, self-aware, and self-motivated. As a mental performance consultant I have observed Self-Determination Theory in action. The best, motivational and inspiring coaches truly listen to their athletes, value athletes’ feedback, don’t show favoritism, and care about their athletes in and out of sport. On the contrary, I have worked with athletes frustrated because they crave knowledge and their coach gets defensive whenever questioned, provides more negative criticism than constructive feedback, and/or does not communicate clear expectations. As I continue to train and balance it all with a family, I still value the incredible motivation my current coach, Calvin Zaryski provides me through constant new training challenges. I’ve been with my current coach for eight years now. He always incorporates my feedback and “scheduling stressors” into my training program. I believe a great coach respects the impact life in general can have on physical training and recovery! 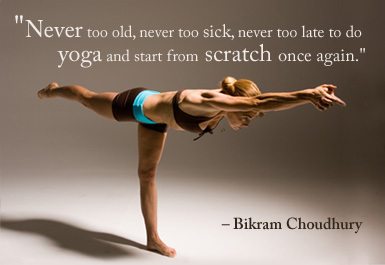 There should be room for flexibility and modifications on a daily and weekly basis, we are not pure physical robots! As athletes we need to trust the growing knowledge and self-awareness we have of our own bodies. And along the way the best coaches often wear the sport psychologist cap when needed as we figure out the athletic journey together! Having a coach I trust in helps take the thinking out of training. I do what is on the plan, albeit with modifications and changes as needed and communicated with my coach. I haven’t been injured in forever (knock on wood!) and I credit that to a highly educated and personally experienced coach who knows his stuff, knows when to push me beyond what I think I can do in a workout, and when to wisely hold me back, when I might have thought more would be better! With summer race season around the corner, be motivated and confident by working with a coach you continually learn from, listens to you, and in whom you trust can help you better than you can help yourself prepare for race day! Every four years the World pays attention to who is who at the Olympic Games. It has been four years since Vancouver but how many of us in Canada have really followed our 2010 stars such as Alex Bilodeau, Charles Hamelin, Christine Nesbitt, Maëlle Ricker etc through the incredible ups and downs of their 2011, 2012, and 2013 seasons? We see them as defending champions like it was yesterday but a lot can happen in four years. Winning a Gold medal is tough. Winning after winning can be even tougher. We often hear it is those who can merely survive the pressure that will come out on top when it counts. 1. Respect for the Luck factor! The best athletes prepare their best and take care of everything that is in their control. But as we can observe everyday in Sochi right now, sometimes equipment fails, or another athlete crashes someone out, the conditions can deteriorate, a body just doesn’t respond physiologically…the list goes on. Just watch our Short Track athletes for a little while and you’ll understand that luck is part of the game AND the excitement of it. Those that get angry and frustrated at every unlucky moment won’t have much mental stamina and toughness over the long haul! 2. Focusing on the Process. This is easier said then done but despite all the hoopla and distractions, the athletes that can stay focused on the simple, and previously well practiced, step by step routines of their performance – all the things that are in their control – will give themselves the best chance of doing their personal best. They race for themselves, they compete and fight to the end by staying in every moment. I’ve often asked athletes to answer two questions in relation to a big performance goal: What is the worst thing that can happen? What is the best thing that can happen? If you can answer both and be prepared to face and accept both then you can be freer to just perform and enjoy the opportunity. 3. A Lasting Love. This may sound cheesy but the best performances often exude a real love and joy for the sport that transcends extra pressure and high expectations. Think of figure skaters who draw us in to their performance through their passion and joy of skating versus those going more mechanically through the motions. The former athletes have developed a perspective that their life in sport is a long journey and every moment is another opportunity to challenge themselves and grow. They handle the Olympic sized moments with the same attitude as any others – I love my sport, I’m glad you’re watching, and I can’t wait to show you what I can do today! Perhaps ironically, those athletes that decide to define success in sport only by their Olympic moments, by winning or “losing” an Olympic medal, will only add undue pressure to themselves. There are very, very, very few people who win Gold at the Olympics. If you say, “If I don’t win Gold than I’m a failure, or I’m letting somebody down or whatever”, then what if you win Silver? What if you win Bronze? What if you’re binding comes apart? What if Lufthansa doesn’t bring you gear? What if one of all those millions of things that happen in life happen? And only a few of the people who go there are going to win Gold….It is a very rare, singular moment in time (an event) in the continuum of life. You need to honour the highs, and the peak moments, you need to prepare your life for them. But recognize the fact that the preparation for those moments is your life. And in fact that is the richness of your life. And anybody who goes to these Olympics, shouldn’t just say, “Hey, I was at the Sochi Olylmpics” I would much rather hear them say, I prepared for the Sochi Olympics for twenty years and these are the things that happened and these are the things that I learned. And when I got to Sochi it was great and I did my race. And I placed 8th or 1st or 92nd. The challenge that we set for each other and the way that we shape ourselves to rise to that challenge is life. In the world of triathlon, it’s a pretty big time of year, 70.3 Worlds have just passed, Ironman World Championship is next weekend and the Xterra World Championship is just three weeks away. When the big one is approaching, most of the work is done but there are definitely some key workouts left to do for some final fine tuning. A little time is left to get every last ounce out of yourself for race day. And how to do this right for YOU is such an art! An art that some athletes craft through much trial and error. Or perhaps an art learned through an accelerated learning curve due to a higher internal monitoring – physical, psychological, social, tactical, technical, emotional; a higher all around self-awareness. 1. Progress is monitored more against previous self than others. This seems like a no brainer but so many athletes in my observations get stuck on comparing themselves to others in their training group, with their closest competitors, or with the champions in their sport. While there are many positives to learning from others and striving to emulate the best in your sport, greater emphasis on what is needed to reach YOUR peak potential will be more productive for day-to-day training. This means using your strengths and tackling your weaknesses head on and learning what helps you improve the most, not copying someone else’s success formula. It also means listening to your coach, listening to yourself, going hard when its time to go hard, and truly resting when it is time to recover. 2. High trust in coach and high belief in training program. For some reason, highly self-aware athletes seem to communicate better with their coaches and have a greater trust in their training. (again only my personal opinion here!). While of course there is some solid physiological science behind a great training program and coach, an athlete’s relationship with that coach, and belief in them can be equally, if not even more important, to building that self-awareness as a coach-athlete team as to what works best for reaching peak performances. The great coach-athlete relationships that I have seen involve a constant dialogue between coach,(e.g “how did that feel?”) and athlete (e.g. “I think maybe we should try X or change Y because…what do you think?”). When an athlete has the freedom to have such an open relationship with a coach, self-awareness as to what works best can be achieved much sooner! 4. Respect for the influence of all other “life factors”. With awareness of all the life factors that can impact training and competition for good or for bad, highly self-aware athletes are quicker and more confident to adjust accordingly when needed. When work, family, school, or any other life stressors (positive or negative) become more demanding, smart or aware athletes scale back training or modify as needed to stay healthy and keep moving forward as much as possible. 5. Know how to keep thyself motivated! Finally highly self-aware athletes are truly in tune with what motivates them. They can clearly answer why they are pursuing their sport? Why they love it? What kind of changes they make when their motivation starts to slump? How they keep things fresh, creative and fun while also consistently working hard towards their goals? They understand the purpose of each training session and how it fits in to the long-term plan, with a perspective on how it all fits together with the rest of LIFE! Okay, after falling off the blog wagon for a while, that’s my two cents on something other than a race report in a while. Hope you enjoyed if you made it this far! We’ve all heard of IQ, most of us have heard the term “emotional intelligence”, and in the sport world, the term “physical literacy” is often used to describe the foundation of athleticism necessary for any sport. Physical literacy is developed best when an athlete is exposed to a healthy variation of physical skills during their athletic development such as gymnastics, skiing, swimming, and soccer, skills which cover the four fundamentals: agility, balance, coordination, and speed. But what about intelligence when it comes to the mental skills side of sport? I’d like to call this athletic intelligence. Why? Because most of us can think of at least an athlete or two who has all the physical ability in the world but for some reason their “mental literacy” may be preventing them from reaching their physical potential. On the other side of the coin, we may know an athlete who by most accounts is far from being the most gifted; the strongest, fastest, most coordinated or technically proficient in his or her sport, but due to mental strengths overcomes and performs up to or beyond their predicted physical potential. Perhaps this can be attributed to a higher degree of “athletic intelligence”. The ability to be a true performer on the athletic stage; whether projected through a quiet confidence or a cocky swagger, they carry themselves with poise and composure through all the highs and lows of sport. Whether they feel like it or not, they know how to act like a champion summoning the right thoughts, emotions, and body language needed to perform their best on any given day. True performers also genuinely love to compete and “put on a show” for any audience that is interested! The ability to stick to the optimum pre-performance strategy, as well as quickly refocus positively on the next best strategy mid-performance if needed. A high “coachability”; such athletes learn quickly and implement new skills from a coach’s instruction, as well as demonstrating a high self-awareness and ability to effectively communicate important feedback to a coach. Highly “coachable” athletes maximize their interdependence with others and get the most out of training and/or competing with others. The ability to focus on intrinsic motivation to continually self-improve (whether they are a developing athletes or World Champions) versus focusing solely on achieving results. This is done by focusing primarily on improving personal skills, competing against the clock and/or course and skills needed to master the most current challenge. The ability and understanding that mental toughness is built through hard and persistent day-to-day training. There are no magic formulas for competition day other than knowing you’ve prepared your very best. Got big plans and personal goals for the new year? How long is your to-do list for the year?… As a graduate student, I came across research on ego-depletion and accomplishing goals, otherwise known as willpower or self-control and it is fascinating. The ingenious research studies have since been summarized in a great book titled, Willpower: Rediscovering the Greatest Human Strength by Roy Baumeister and John Tierney, (2011). But for those of you who don’t have the time to read it, here is some of the best advice to remember when setting about accomplishing our most challenging goals for the new year. Growing your willpower or discipline muscles relates very well to training as an athlete. 1. Willpower is like a muscle. Like a muscle, your willpower becomes fatigued with overuse but can also be strengthened over the long-term through exercise. Just like physical training, when you push your discipline muscle at your optimal limit you’ll get stronger and can endure longer with less effort, but it also needs recovery too! What matters most is the exertion. If you struggle with a temptation and then give in, you’ll still be depleted from the resisting and because you gave in. So what are some tips to maximize willpower strength and avoid depletion? 2. Keep your goal list short. You only have one supply of willpower (or energy if you like) so spend it wisely. If you want to make a big changes in your life this year like the common ones of exercising more, eating better/less, overhauling your finances, or keeping a cleaner house, remember you likely won’t have enough willpower in the bank for everything on the list. Each time you are using up willpower to start a new habit, you reduce your capacity for other activities requiring willpower. Therefore, the recommended plan is to pick one resolution and stick to doing it well, that can be enough of a challenge if you want it to last! And the good news is that after 3 weeks to a month, it takes less and less willpower as parts of your new goal work becomes habit and takes less effort. 3. Plan effectively to budget your willpower. When you can foresee extra challenges ahead in your schedule (think high volume training for an athlete), other demands may need to be cut back to get through while staying healthy, in one piece and not too cranky in the end. And more importantly a specific plan (e.g. I will run 45 minutes on Tuesday at the park at noon with Fred) that includes when and where you’ll do something is way more effective than a vague one (e.g. I want to run more this year). Specific plans also avoid what is termed the Zeignarnik effect, referring to how when you ignore unfinished tasks your unconscious mind will keep fretting about them. You may have experienced this when you hear part of a song driving or in passing and then you can’t get it out of your mind for the rest of the day! Finally, if you follow plans that pre-commit you to a strategy (e.g. a dieter that says, “If there is a buffet at the party tonight, I will only eat veggies and lean protein) you’ll have more success developing a routine that turns into a positive habit. The same applies to athletes who practice pre-committing to well-practiced competition plans and strategies, allowing for a more automatic and energy conserving (sometimes in peak performance described as “effortless”) performance. 4. Rest, Food and Cleanliness. Although it may seem obvious, a well-rested will is a stronger one. So is one that is fueled by a bit of glucose (think about your experiences grocery shopping on an empty versus full stomach). Some great studies showed that higher self-control was exerted after having some food. While enough healthy food and good sleep on a regular basis is key, so is a bit of neatness. Some studies also found people to have greater self-control after seeing a clean desk than a messy desk, or even after browsing a neat and well-organized website versus a sloppy one. Environmental cues subtly influence our brain and behavior. Ironically, if you make it a priority to make the bed, wash the dishes, and pick your socks up off the floor you are helping yourself take the strain off of maintaining self-discipline in other areas. 6. Monitoring and Rewards. The more carefully you keep track of goals through self-monitoring, writing things down, and carefully tracking your progress with feedback the more success you’ll have. While it can be tedious and boring, there are also plenty of apps and websites to do the work for you these days! On the other side, rewards are important too. Small rewards along the way, as well as big rewards can be significant when achieving a big goal (e.g. an athlete who completes their first big race like a marathon or a smoker who has quit for a full year). Rewards for genuine accomplishments are most effective for promoting self-control in yourself or discipline in your children. Poor performance: physical or mental? 1. The Obvious Physical. It is always important to address any physical possibilities first. As a runner I’ve been truly anemic (super low in iron) twice and until I figured out why I was performing so poorly it was super frustrating. Other obvious physical reasons would be any other deficiencies, injuries, or underlying illness. If all the types of physical reasons, most of which could be detected by a medical professional can be ruled out, time to look at the less obvious ones. 2. The Not So Obvious Physical. This is the category that sometimes takes some trial and error by athletes to get right, and can be very individual. Things like getting enough sleep, coping with jet lag, over training, eating/drinking properly before, during and after (especially if doing multiple events over a day or more), and going into a competition rested and sharp enough. While many times great performances happen with less than ideal physical preparation, sometimes (especially if a pattern can be detected), it can be linked back to some of the above aspects of physical preparation, which take high self-awareness, and much practice to fine tune in ever-changing competition scenarios and lead-ups. 3. The Obvious Mental. Did your training predict your performance? Not all sports are as obvious as say track running or pool swimming. When I was a track runner, it was pretty evident what times I would be capable of racing according to the interval times I was running in practice. While other sports aren’t so straight forward, training indications over time, or consistency of your previous competition results can give you a pretty good ball park for how well you can expect to perform. Whether it is one or several competitions where a performance is way below what you’ve proven you are physically capable of doing in training or even previous competitions, perhaps a mental factor is playing a larger role. Things like confidence, focus, competitive motivation, and nerves may be getting in the way. 4. The Not So Obvious Mental. Even though an athlete may be physically ready, and mentally tough, less obvious mental factors can impact performance. For example, sometimes poor decision-making, tactics or strategy in the midst of competition can be critical to the final outcome. Or outside of competition emotional and mental management can impact performance. It is widely accepted that physical training has phases of work or stress and recovery. But what is often neglected is that intense bouts of mental intensity (e.g. period of intense focusing and concentration in or outside of sport) or emotional intensity (e.g. the excitement, highs and lows of competition, strong emotions such as anger, sadness experienced in or outside sport) need periods of recovery too, and will impact physical performance. Stress is stress – the body doesn’t differentiate the cause, or even between perceived positive and negative stress. 5. The Complete Mystery? Sometimes the preparation can go amazingly, mental and emotional stress appears to be in check, and things still don’t go as hoped. And sometimes we may have to accept there might not be any clear reason. In a post titled, “Where to Begin?” my Luna teammate, Catharine Pendrel explained a day like this well which happened for her here in her blog. She was one the favorites to medal at the Olympic Games in London this past August. 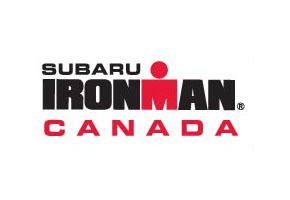 In Western Canada it is Ironman week!! Many of many training buddies with CSR and elsewhere are headed to Penticton this week to race in Ironman Canada next Sunday, August 26th. I wish I could go watch with so many people to cheer for! But you know what they say, if I was to go I would likely catch the Ironman bug and get in line to sign up for next year, but I don’t think I’m quite ready for that yet, ha! However, a few weeks ago, I facilitated a fun discussion on mental preparation for an Ironman for my training group. So for everyone who was there (and those who missed it) this blog is a reminder for you! 1. State your dream performance goal. Given your current fitness, the training you’ve done, your motivation, and current capabilities, if everything comes together what is most realistic race day performance goal for you? Is your goal simply to finish? To enjoy your race day? To set a personal best time in one or all three disciplines? To finish at the top end of your age group? To qualify for Kona? Once you’ve got your performance goal(s) clear, file it/them away and focus on the next three points as race day nears. 2. Focus on your reasons to stay confident! For some reason, especially when taper time begins, extra energy starts to mount and some feel compelled to start doubting. With the normal amount of added anxiousness it is not the time to make last minute changes such as to equipment or nutrition. Enjoy the countdown and extra time to put your feet up! Trust in what you know works for you, and in what you’ve already tried and tested especially in the nutrition and equipment departments. The physical training is in the bank, race day will be a celebration of all your hard work! Reflect on your preparation and reasons to be confident without comparing yourself to others. What improvements have you made? What training limitations have you pushed? Reflect on all the hard work you’ve put in to be ready for the day with the time and commitment you’ve had to do so? What have others said about you that encourages you? What specific things have you done to be race ready? Who or what inspires you to do an Ironman? 3. Be ready for anything and everything! In a race as long as an Ironman there are going to be uncomfortable and painful moments. It is important to anticipate as well as you can what will be YOUR biggest challenges of the day and prepare for how you will respond and ultimately stay positive. Things may go way better than expected. Or way worse than expected or anywhere in between. Visualize how you will react and respond with calm to any number or scenarios that could happen….losing your goggles in the swim, getting knocked in the head in the water, a flat tire, cramps, walking on the run, blisters, equipment malfunction such as heart rate monitor….the more you can mentally prepare for any race day scenario, the less it will take you by surprise, and the more you will be able to remain calm, respond positively and keep your energy focused on getting the best out of yourself for the race! What will be your overall guiding mantra for the day (or each race segment if you prefer to have an overall mantra for swim, bike and run)? Some examples I’ve heard are “just keep smiling”, “one step at a time”, “stay in the moment”, “the more I run, the sooner I’ll be done”, “keep calm and carry on”, “this too will pass” (if going through a tough part of the race), “whatever will be will be” to name a few! 4. Write your post-race obituary. 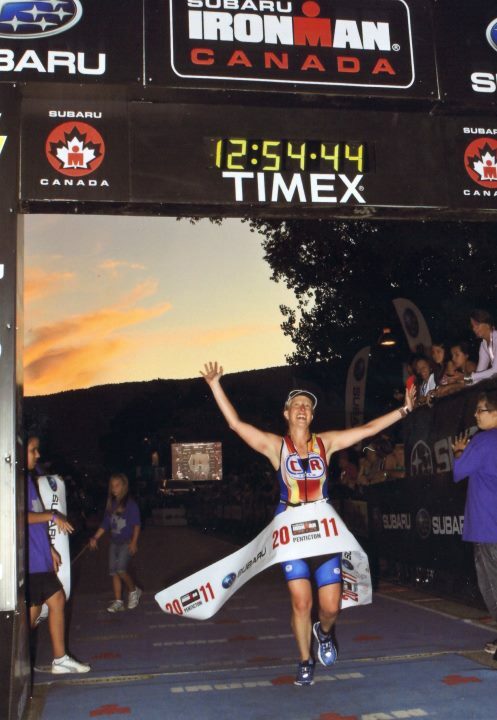 How do you want to feel when you cross that finish line at the end of the day? What do you want to be able to say about yourself? Make a list of all the things you want to be able to say about yourself at the end of the day no matter what your end result is! In other words, focus on everything that you will have control over: your effort, your attitude, your perseverance, your composure, your grit!! You are choosing to get on the start line! You can choose the mindset with which you want to race! Good luck to everyone I know toeing the line on Sunday! I’ll be cheering and tracking you all!! Poise. Positive Perspective and Attitude. Centered. Sport-Life Balance. In my opinion athletes who demonstrate such attributes have my utmost respect. As the saying goes, sport can bring out the best and worst in all of us. In sport, like in life, “Circumstances do not make a man (or woman! ), they reveal him (or her! ).” (Dr. Wayne W. Dyer). In my experience and observations athletes at any level in sport can learn and develop a great sport-life perspective. My current Olympic favorite is Missy Franklin, who at 17 has already won gold in the 100m & 200m backstroke (a world record) and a bronze in the 4 x 100m freestyle in London and shows incredible composure, maturity and perspective on sport for her age. 2. You’re even a sore winner! Even on the days you win, you’re quick to publicly proclaim all the reasons it wasn’t a good day for you, and all the things you could have still done better! 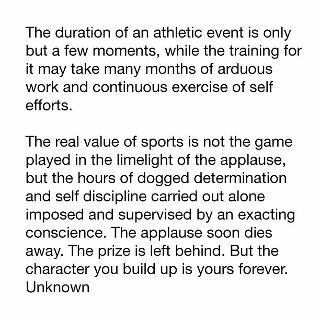 While a true competitor is always looking for ways to improve, it may be best to keep such reflections to oneself on such days in respect for your competitors. 4. You truly buy in to the cliché: “I’m only as good as my last performance!” While competition results are by far one of the best indicators of how you stack up to the competition in your given sport, if you chose to base your self-esteem and confidence solely on how your latest performance went (in training or competition), then you’re in for a very rocky ride! The above quotes come from Chris McCormack’s book, “I’m here to WIN: A World Champion’s Advice for Peak Performance.” Read it and learn about how this amazing athlete has developed and learned over his long career, and ultimately has the mind of a true competitor balanced with a great perspective on life! Train with a purpose, race for a reason! “But I don’t feel that Wimbledon has changed me. I feel, in fact, as if I’ve been let in on a dirty little secret: winning changes nothing. Now that I’ve won a slam, I know something that very few people on earth are permitted to know. A win doesn’t feel as good as a loss feels bad, and the good feeling doesn’t last as long as the bad. Not even close (p.167). In other words, if we’re only striving for the next “win” or high that comes with completing our next goal, with expectations that we’ll finally feel satisfied, happy, or that its all been worth it, then maybe we’re missing the point. And if we don’t understand the purpose of what we’re striving do to on a daily basis we won’t get the most out of what we’re doing – and yes, I’ve personally learned the value of quality of training, intention, and focus, over quantity since my children have come into this world! In my world of triathlon training the purpose behind each work usually includes one or a few simple goals. Some days I leave the numbers behind (e.g. heart rate, watts, cadence, speed, distance etc) and fully focus on listening to my body, going the pace it wants to, and enjoying letting my mind wander, or being social (a mental break as well!). On the other end of the spectrum, for some workouts, it is all about hitting the numbers with maximal efforts requiring every ounce of physical strength and mental focus. While other workouts are somewhere in between, the bottom line is that if I understand why each workout fits into the overall plan and how it is preparing me for my next race, then I will get the most out of it!